July was NOT a good month for running! After the 10km race in June, I picked up an ankle injury… and then after I went to Zimbabwe for a wedding, I came down with hectic flu. I was really out of action for more than 3 weeks! So July’s stats are not the most fabulous to share… but hey, you cannot go through the year without fitness challenges, right? ran a total of 23,1km! Shocking considering I ran over 70 in June. Dropped a clothing size!! And loads of people are commenting about my weight now, and even how my face has changed and is thinner than it was. I think the long rest, enforced by the crappy flu that had me on antibiotics and cortisone was a blessing for my feet and ankles. When I started running at Run Walk for Life again this week, all those niggles were non-existant! I’ve also got itchy feet now! I’m raring to get going again! I’m eyeing out a few 10km races in the next month, although realistically I doubt I’ll be able to do them because of the photoshoots I’ve booked. BIG NEWS > I’ve signed up for my first 21km race! How mad am I? LOL! I’ve registered to run this year’s Soweto half marathon in November! The race is now sponsored by Nike, so it should be awesome and well organised. I have 3 months to train for it… I reckon it’s achievable. When I tweeted about it, Runners World SA (@runnersworldsa) replied and sent me a link to their 21km training programs. I think I’ll do the one they’ve got for beginners. I did giggle this morning at RWFL when I spoke to Rene about training programs for the race. She asked me what my goal was. My word, I haven’t even thought that far yet… I just want to finish it without killing myself!! I’m sure I’ll have more of an idea about timing closer to the time and once I’ve started running longer distances than 10km, but for now it all feels a little daunting. How gorgeous is my watch? 🙂 I’m loving this TomTom runner! 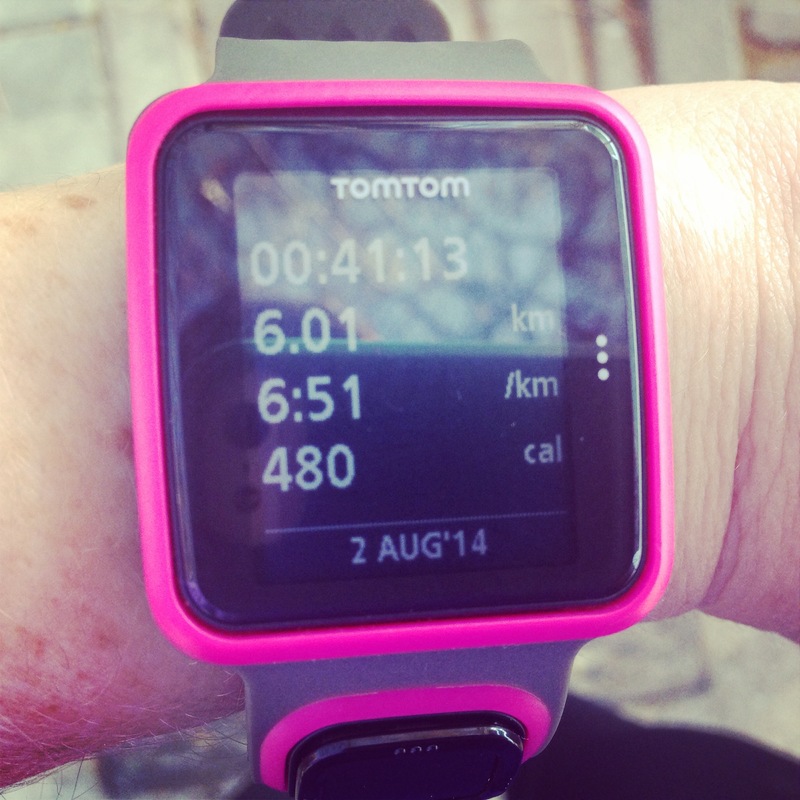 I did forget today though that I needed to start it… and although it’s showing 6km, I actually ran 7km. An injury/illness/other commitments are a runner’s worst nightmare! We hate taking time off but it’s always great to be back. I was always told if you can run 10kms, you can run 21. I never believed it but now I say the same thing. Except I add, if I can run a half, anyone can! Awesome watch! I think your body needs rest… glad your niggles are all gone.